Two powerful industries, plastic and iron, are locked in a lobbying war over the estimated $300 billion that local governments will spend on water and sewer pipes over the next decade. The battleground is beneath our feet. Who wins the plastic vs. iron war will affect the safety and availability of drinking water of generations of Americans. Some of our water pipes are 150 years old. In just a couple of years the average age of over 1.5 million miles (think of it!) of water and sewer pipes will be 45 years. 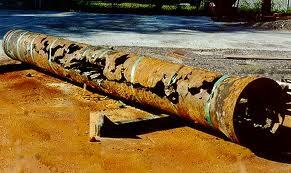 In hundreds of towns and counties cast iron pipes are more than a century old. There are even said to be a few miles of old wooden pipes that have survived for well over a century. Lead pipe water pipes, once widely used, have been banned for 30 years but more than 10 million old lead pipes are estimated to be still in service. The lead from these pipes, as the Flint experience taught us, can leach into public drinking water supplies at any time if there is a change in water treatment methods or water source. About two-thirds of our existing water pipes are made from traditional materials like steel or iron. Plastic piping is now growing in popularity as a substitute for existing metal pipes, partially because the plastics industry is taking advantage of fears created by the Flint experience. As much as 80% of new piping is being done with plastics. The sale of pipe, as is to be expected, is a highly politicized business. Piping standards are often mandated by law, and many laws are outdated but very hard to change, so whether plastic or metal piping is used often depends not so much on economic, health, or safety considerations as on which industry’s trade organization has the deepest pockets. With $300 billion in pipe sales at stake, politics rules. Corporations that supply pipe pay high dues to trade associations who lobby and initiate legislation on their behalf. Trade associations and large corporations court politicians with campaign donations. One source notes that the iron pipe industry has gone to great lengths to flatter the president through praise of his infrastructure proposals. There is much industry-sponsored legislation aimed at modernizing piping standards. Opponents of the industry-backed bills, including many municipal engineers, say they are a thinly veiled effort by the plastics industry to muscle aside traditional pipe suppliers. At first glance it would seem that plastics are an obvious replacement for the nation’s aging metal pipes. Plastics, after all, have already pushed out copper as the preferred pipe for connecting municipal lines to homes as well as within the homes themselves. Plastic pipe is light, easy to install, corrosion-free, and about 50% less costly than iron pipe. Not everyone is comfortable with plastic piping, however, and there are rising health concerns. One thing that should really concern us is that their is a total lack of government regulation over the safety of piping used in water supply insfrastructure. There is no federal oversight of the materials or processes used to manufacture plastic water pipes; instead, water pipes are certified and tested by an organization paid for by industry, NSF International. NSF International is not a government agency, and it has never received regulatory authority from the federal government, yet NSF certification is widely accepted by the public as the ultimate guarantee of product safety and reliability. NSF is paid by the industries it regulates and in the case of pipe it does not disclose test results for the pipes it certifies. 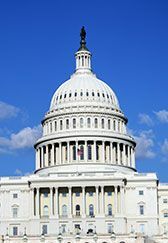 Although NSF International displays a picture of the US Capitol building on its web page, it is not a government agency and does not receive its authority from the government. There is no doubt that switching to plastic piping exclusively could save water suppliers (and consequently taxpayers) significant amounts of money in the short term, but there are public health concerns that should be addressed. It would be good if these issues could be decided not by politicians but by qualified experts acting in the public interest.